Another piece of Tupac’s fabled past has surfaced, and if fans want to grab it, they’ll have to drop a pretty bag of cash. As reported by TMZ, Moments in Time is selling 2 handwritten love letters scribed by the late poet when he was still a youngen. 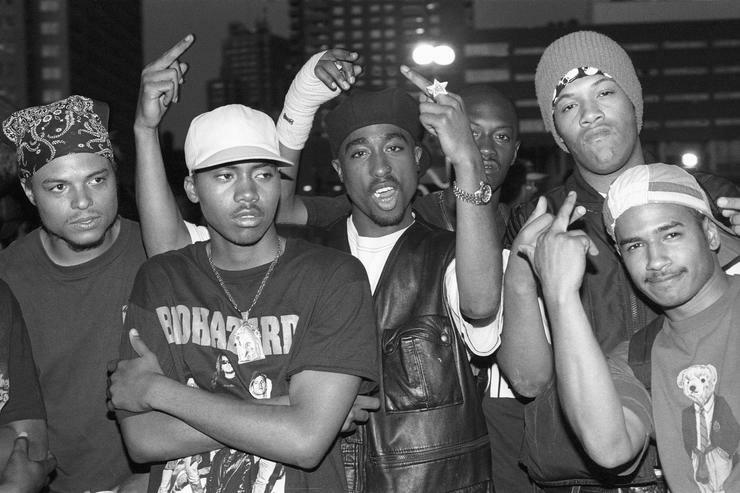 ‘Pac was a 14-year-old freshman in 1985 at Paul Laurence Dunbar High School in Baltimore when he professed his love to Averel, a young fellow classmate of his. In the first letter, ‘Pac keeps things formal while introducing himself to the young lady. He reveals his name to his crush, joking at the same time as he wrote, “I know you may be saying ‘what kind of name is that. '” After explaining that his name is Puerto Rican, ‘Pac breaks down his heritage and beginnings before wrapping things up. In the second letter, ‘Pac gets more physical, writing, “I daydream about kissing and caressing your graceful and majestic body.” The kid had game. Averel sold the letters to Moments in Time. The company placed a $15,000 tag on the love letters, which may go for more once ‘Pac fans become aware of its existence. You can check out the love letters in PDF form here.